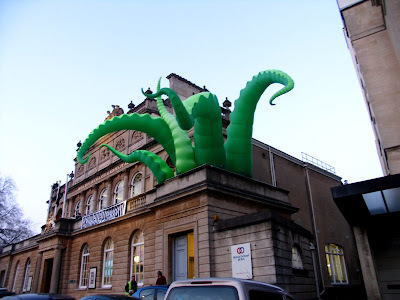 We are pleased to announce that Filthy Luker the Bristol based inflatable street artist is on board and is to create something for the launch night on the 12th November at the Arnolfini, Bristol. We will be meeting with him tomorrow to see what plans he has and we can't wait. Watch this space for more information.